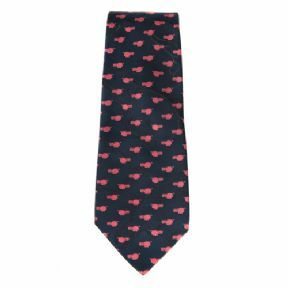 Hippo design silk tie. 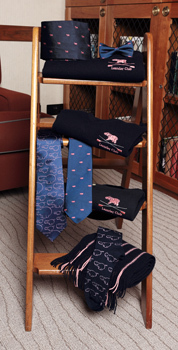 If you are not yet a member of the club, this tie for you as it is available to members and non-members alike. It has a navy background with small "fun" hippos all over it. In the background is a large and very thin outline of a hippo. It would also make an ideal gift and there is also a bow tie (pre-tied or self-tie) and a silk handkerchief in the same design. 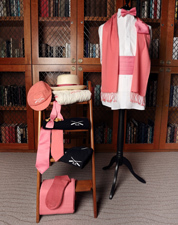 If you are a member and wish to buy something exclusive to members, please have a look in the member's section at the City Tie. There is also a bow tie, silk handkerchief and a cummerbund to match.